The Village administers a mosquito control program. One of the most important steps we take is to apply environmentally friendly larvicides to catch basins and storm sewers to inhibit mosquito larvae from developing into adults. 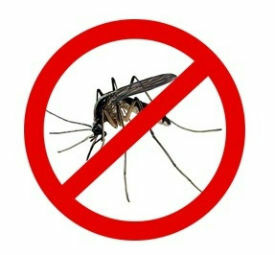 There are two types of mosquitoes found in the Downers Grove area, flood water mosquitoes and house mosquitoes. While larvicides are used to control both types of mosquitoes, spraying is used primarily to control the house mosquito. Recent rainy weather has contributed to increased breeding of the flood water mosquito which can fly long distances (5 to 10 miles) from where they hatch. Although the flood water mosquito can be as equally aggressive as they are annoying, they do not carry West Nile Virus (WNV). Approximately once each year, the Village sprays for mosquitoes. Spraying is used to reduce the number of the Culex or house mosquito which flies short distances and is known to carry West Nile Virus (WNV) and other diseases. At this point, WNV has not been detected in the house mosquito and the Village has no plans for spraying in the near future. Mosquito season can last well into September and the Village will spray if high house mosquito counts and WNV are detected between now and then. It's important to note that the effectiveness of spraying is limited as it only kills mosquitoes that come into direct contact with the spray. The State of Illinois and DuPage County Department of Public Health monitor mosquitoes for WNV. If found in the area, sprays will be coordinated between surrounding communities. In prior years, coordinated spraying occurred between the end of July and the first week of September. Minimize time spent outdoors between dusk and dawn when mosquitoes are the most active. Apply insect repellents containing DEET, Picaridin or oil of lemon eucalyptus to exposed skin and clothing. Change water in bird baths at least once per week, and drain and replace water in children's backyard wading pools every four to five days. Make sure that rain gutters, downspouts, swimming pools and pool covers are free of standing water. Keep grass and weeds cut short to eliminate hiding places for adult mosquitoes.